Indianapolis (May 2017) A talented man once said, “Most of my things strike to me the same theme which is not to take yourself so seriously that you can't grow.” That man was Stephen J. Cannell and GreenLight Collectibles is excited to announce that their stable of products have continued to grow once again with a new agreement with Stephen J. Cannell Productions. This agreement will allow GreenLight to produce die-cast and plastic scale model vehicles with or without figures in scales such as 1:18, 1:24, 1:43 and 1:64 for television series including: The Greatest American Hero, Hunter, Riptide and fan-favorite, The A-Team. Anyone who grew up watching TV in the 1970s, 80s or 90s knew Mr. Cannell’s name and of his exciting detective series and action shows. He scripted more than 450 episodes and produced more than 1,500 episodes. One of those series included the popular show The A-Team, a show about Four Vietnam veterans, who were framed for a crime they didn't commit and helped the innocent while on the run from the military. 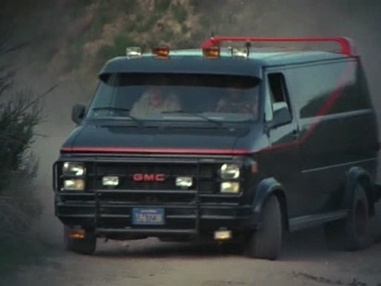 The show heavily revolves around time the characters spent in a 1983 GMC Vandura and it didn’t take long before GreenLight immediately jumped at the opportunity to produce a die-cast version of the popular vehicle. 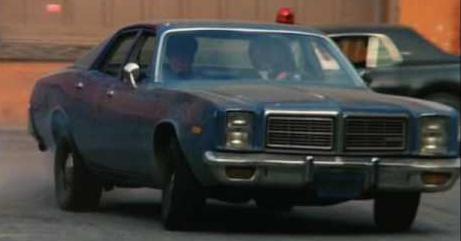 GreenLight also has 1:64 Hollywood Series 18 on deck and in that series the 1978 Dodge Monaco from the action-packed show Hunter will make an appearance. Stephen J. Cannell Productions, Inc. was formed in 1979, after Stephen Cannell left Universal, where he was a writer on Baa Baa Black Sheep, Barretta as well as the pilot for The Rockford Files. It was a risky move at the time, but Cannell had faith even when others doubted. His first three series out of the gate were the critically acclaimed Tenspeed and Brown Shoe, superhero comedy The Greatest American Hero and the mega-hit The A-Team. More Cannell hits followed: Hunter,Riptide, Hardcastle and McCormick, Wiseguy, The Commish, Profit, Renegadeand Silk Stalkings. Johnny Depp got his first big break in the Cannell series 21 Jumpstreet, a popular Cannell show that aired on the newly launched Fox TV. Academy Award winner Kevin Spacey has credited his role in Wiseguy as a major milestone in his career. Seven years later, Stephen formed The Cannell Studios to oversee all aspects of the organization's operations. Having surpassed the $1 billion mark in production outlays, the studio experienced remarkable growth and diversification in such areas as production (films, mini-series, commercials), merchandising, first-run/off-network programming, and several television stations. In 1989, Cannell developed the North Shore Studios, at the time, the largest feature film and television studio in Canada. Cannell had re-defined the television writer as more than just a hired scribe; writers could also produce. At one point in his career, Stephen J. Cannell was the third biggest producer in television with multiple shows on several networks. Cannell Studios still owns the worldwide distribution rights to more than 1,000 hours of Cannell-produced series and TV movies. In addition to his prolific writing career, Cannell directed several episodes and stepped in front of the cameras to act in numerous TV series, TV movies and the hit show Renegade, which he created and co-starred in. He also wrote and produced numerous reunion specials of his most popular series.